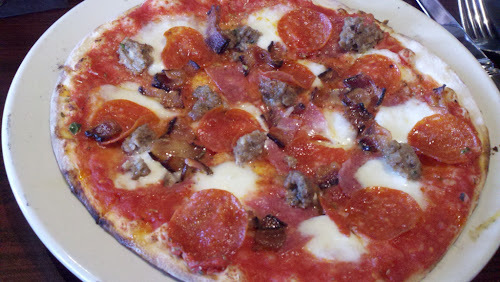 When my wife and I first visited 900 Degrees Pizzeria shortly after they opened, we were not thrilled with our experience. Each time we attempted to pick up a slice, the toppings fell off the pizza! Truth be told we haven’t found really good pizza in New Hampshire, the reason for so few reviews in this area. Various family members suggested that we give 900 degrees another look so we ventured out for another try since it’s been a few years. As part of a group of five we went for lunch on a Sunday with an open mind and hunger in our bellies. It was early in the day so they were not busy. Located on Dow street you have to drive slowly or you will miss the sharp right turn you need to take after Tiny Tot Land. 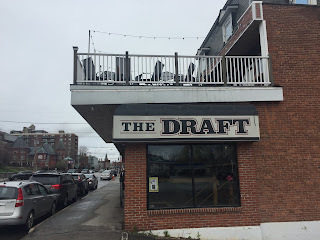 There is a long bar on one side of the restaurant and many tables in the middle along with high ceilings and exposed brick. Looking into the distance I could see and smell the wood fire at the back of the restaurant. We were seated at a table in the back and settled in for what I hoped would be great pizza. 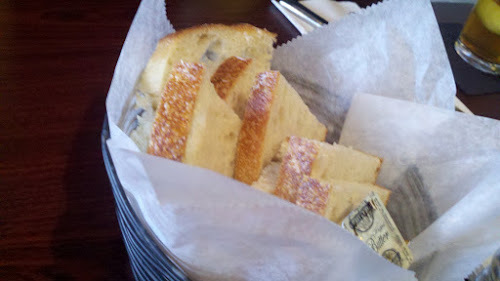 Our waitress took our drink order and also brought out some of their bread. With olive oil for dipping this was a good start. I chose the Paisano with their house tomato sauce, mozzarella, garlic, salami, pepperoni, bacon, oregano and meatballs which I substituted for the sweet sausage that usually is included in this selection. This had a crunchy thin crust along with a strong flavor from the oregano and most important the toppings did not fall off the pizza, well done! 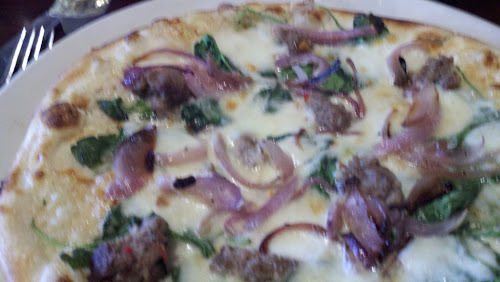 My wife decided to create her own white pizza that had a garlic cream sauce with meatballs, spinach and carmelized onions. She enjoyed this very much. Another guest chose the Florentine Pesto, a white pizza that included homemade basil pesto, tomato basil, fresh mozzarella and extra virgin olive oil. 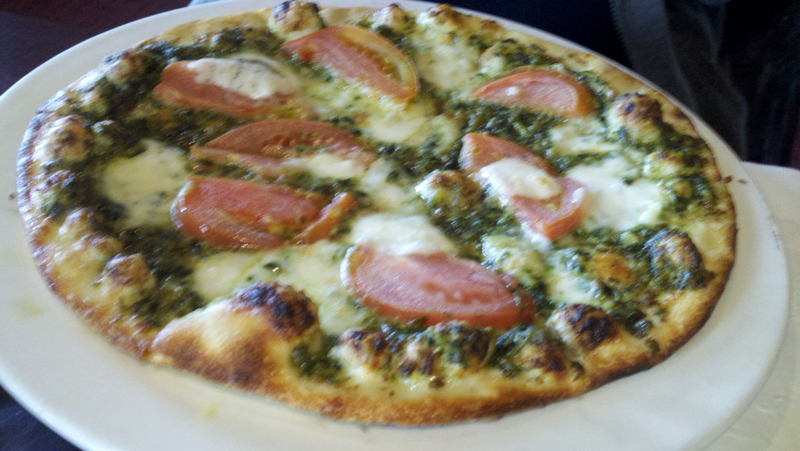 Since she loves pesto this was a no brainer, delicious! 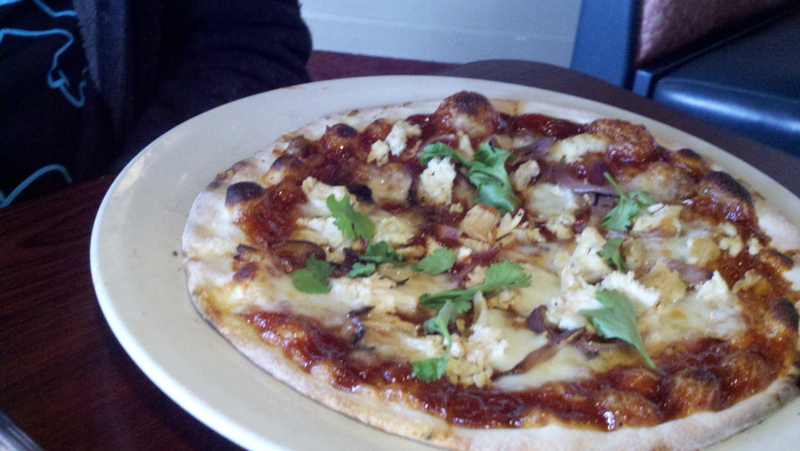 The final choice was a fire roasted bbq chicken with homemade bbq sauce, caramelized onion, wood fired chicken, grana padano, fresh mozzarella and fresh cilantro. No complaints on this one. Our waitress was pleasant and efficient. 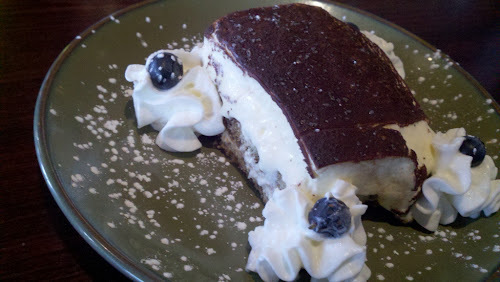 For dessert, we chose the tiramisu and you would enjoy this as a sweet end to your meal. So there you have it, if you love a good pizza pie you should definitely give 900 Degrees a try.